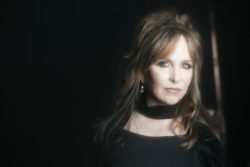 GRETCHEN Peters heads back to St George’s on Good Friday 19th April, following her sensational appearance at the Bristol venue in June 2018. There will be a different sound this time, as the Peters Band is joined by The Southern Fried String Quartet for the a unique, one off tour that reprises her headlining set at Celtic Connections Festival in Glasgow. The regular band will be led by pianist and accordionist Barry Walsh and the tour is appropriately named Strings Attached. The 2018 release Dancing With the Beast, which was introduced at last year’s concert, blends shades of country-rock, indie-folk and Southern gothic, and features all-female characters, from pre-teen to elderly, whose stories vividly illuminate both the personal and political. Strings Attached will also feature songs from Blackbirds and Dancing With The Beast performed with strings, as well as a some of Gretchen’s greatest hits taken from her 12-album career. She says: “We are immensely looking forward to the tour. It will be a lot of fun performing with strings in these iconic venues”. The tour stop at Bristol is the night before her Cadogan Hall, London gig. Posted in I Got Music on 9 April, 2019 .